Ready to create your next (or first!) design but not sure where to start? Check out these proven design themes—they’ve worked for other creators on Teespring and they can work for you too. Give your followers something they’ll love and monetize your channel in the process. Are there specific phrases or images that only your community would understand? Followers love to feel part of an inside joke, so make them feel special with a design they can’t get anywhere else. Aphmau’s “Phoenix Drop High Gym Shirt” is a great example of turning a game element into a successful design—her Teespring products featured the same design she created for her in-game characters to wear (in Minecraft). Aphmau’s design sold over 1,000 products in the first 24 hours and over 8,000 products in its first run! And remember, given that we offer the highest profit margins in the industry, this can mean anywhere from $8 to $15 profit per item sold (you do the math). ShadyPenguinn’s “It’s a crit!” design is another example of converting community lingo into a top-selling design. ShadyPenguinn uses this phrase every time a “critical hit” happens while playing Pokémon. “It’s a crit!” is a phrase that his followers (and others in the gaming community) can identify with. Are you about to hit a significant channel milestone (or recently just hit one)? Whether it’s 1,000 subscribers or 1 million, consider offering a design to celebrate the achievement with your followers. Check out Mr. Fruit’s milestone merch below. He created new designs for reaching 100k subscribers, 200k subscribers…all the way up to 800k subscribers and has sold close to 15,000 products in the process. Creating merchandise for charity is a great way to connect with followers, sell cool merch, and support a worthy cause. You can donate anywhere from 10% to 100% of your profits directly to the charity of your choice. 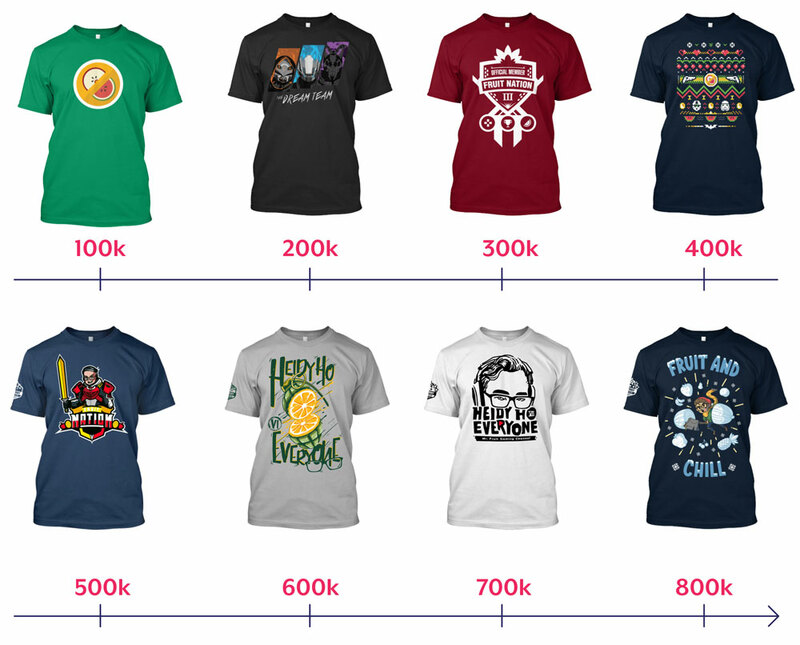 Learn more about Teespring’s verified contributions here. Thataylaa creates video content featuring makeup tutorials and tips. She recently used her video series #15DaysofFoundation to support a good cause by selling special merch to commemorate the event. Thataylaa donated 100% of her profits to Project Beauty Share. 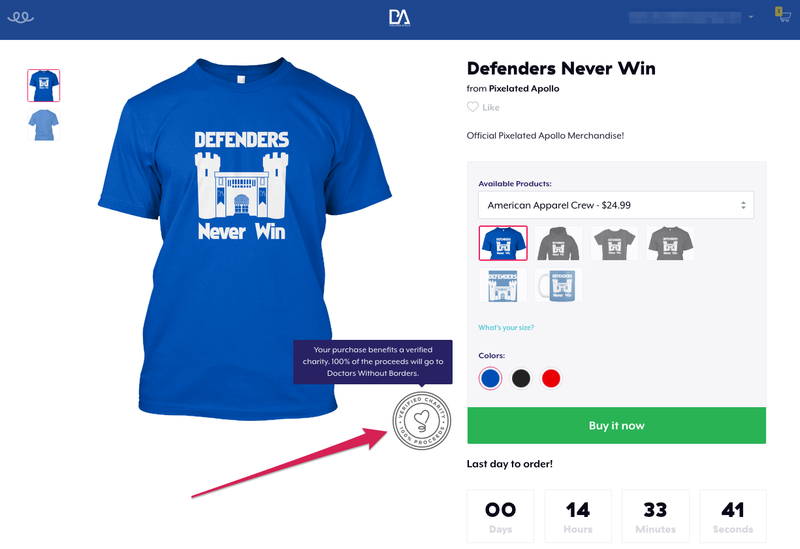 Pixelated Apollo’s “Defenders Never Win” design was also a hit with his community and he’s been able to raise substantial funds for Doctors Without Borders. Holidays and current events are the perfect opportunities to create new merch for your followers. Take Mother’s Day for example. Illustrator and YouTuber Mei Yu created limited-edition Mother’s Day merchandise to her followers. She drew the designs during one of her video art lessons and then shared her Teespring products (featuring the same design) at the end of the video. A great example of creating new designs around current events is égaliTEE by DJ Ashley James. She released a shirt collection to highlight women’s empowerment and equality following the Women’s March and #ShePersisted movements in early 2017. Consider releasing “signature series” or limited-edition designs to your community. You can offer certain products for one week only or end the campaign once you’ve reached a certain number of sales. We’ve also seen success with “first edition” designs, which offer your OG fans a chance to stand out. 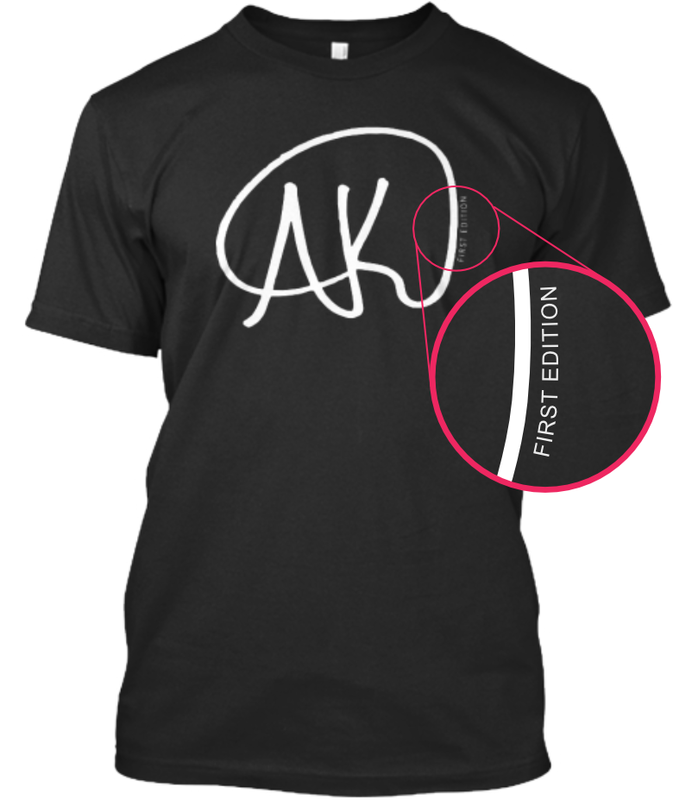 The Real AK is a creator who blew his “first edition” design out of the water, selling hundreds of products in the first week. He actually ended the campaign early (so no one else could purchase this exclusive design). He subsequently relaunched the same signature design but without the “first edition” element, and fans can purchase it whenever they want. Getting your followers involved in the creation of your next design is great for engagement as well as sales. Some of Reckful’s most successful designs were created on stream with input from his followers. Once the design is finished he immediately launches a Teespring campaign so people can buy it. His classic “Shieet Penguin” design was created on livestream and has sold over 6,000 products so far. Ready to create merch your fans will love?